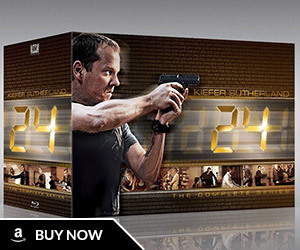 Deadline has updated their earlier story, clarifying some of the budget issues surrounding the 24 movie. 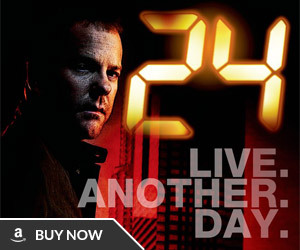 The 24 movie postponement broken by Deadline this morning is getting interesting. Word is racing around agency circles that Kiefer Sutherland was not only unhappy about the pic’s postponement, but also what I’d heard was a $1 million offer to play Jack Bauer in a deal that was heavily backloaded to reward success. Insiders said that Sutherland would have gotten at least $2 million, though that was below his original $5 million and then $3 million ask. Fox wanted a budget around $30 million, while the filmmakers wanted $45 million to $60 million. Fox’s idea was always to make the film at a cost, and reward in the upside. The studio’s proposal, made a couple weeks ago, wasn’t addressed until this week, and when the crap hit the fan yesterday, the studio felt there wasn’t enough time to pull the picture off in seven weeks of prep. The studio was following its experience with X-Files, a TV property turned into a hit film, but made at a cautious budget. I’m told that Fuqua hadn’t yet been approved by Sutherland, but that Sutherland, Imagine and Fuqua stood to reap up to about 25% of the proceeds after breakeven, to make up for the low upfront payments. Fuqua would have gotten north of $1 million, but not as much as Sutherland. Reached out for comment to Sutherland and Imagine this morning, but no one returned yet. Meanwhile, The Wrap has gotten a comment from FOX spokesman Chris Petrikin, who claims it all came down to not having enough time to do things right. Ouch – those are rather harsh words. Both sides are said to be meeting at 2:30 PM to work out differences, so more information (or public trash-talking) will probably leak out soon. 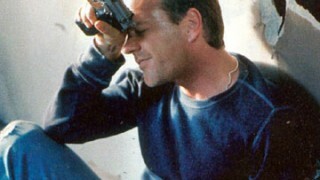 I’m totally on Kiefer’s side with this one. 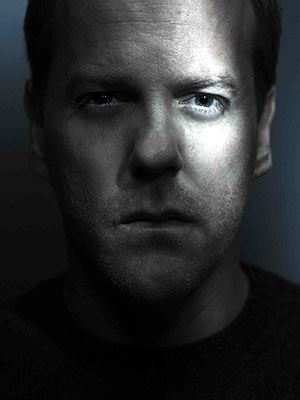 He’s made FOX a boatload of money over the past decade with 24 and there is a proven audience that would love to see Jack Bauer on the big-screen. Offering him just one million dollars to produce and star in a physically demanding big budget action movie is downright insulting. With the script already completed, this gives both sides a full year to work out their disagreements and give it another shot. 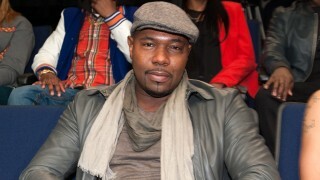 Let’s just hope they are more prepared next time and that Antoine Fuqua will still be available when it’s time to film. I’m 100% on Kiefer’s side. That is just a slap in the face by the studio to lowball him, Brian Grazer and everyone involved with 24. I hope they can work out their differences, but that is just ridiculous. Unless FOX wants to shoot the movie in LA and use green screen like they did with season 8, I can’t see how you can shoot this movie in Europe on a $30M budget with action scenes, special effects etc. It would be like shooting a Wesley Snipes/Steven Seagal straight to video movie. I totally support Kiefer, too ! He’s doing a great job on 24, not only as an actor, but as a producer, and doing promo all over the world (like now with Touch !). After my initial surprise at this news, with due consideration, it makes sense, seven weeks was precious little time to prep a multi-million dollar movie, that being said, if Kiefer and Brian Grazer felt they could do it, I trust their judgement and not FOX’s (who have a simply atrocious record of heavy-handedness working with talent), and that offer of a paltry million for Kiefer Sutherland to reprise Jack Bauer for the movie was simply a slap in the face to an actor who has made that unappreciative studio hundreds of millions of dollars over the years in advertising and ’24’-related merchandise and DVD/Bluray sales over the last decade, and don’t even get me started on the budget squabble… $30m, are you KIDDING me? The first ‘X-Files’ movie in 1998 had a $66m budget – that’s over $100m nowadays if you count inflationary increases – and both David Duchovny and Gillian Anderson got SEVERAL MILLION DOLLARS EACH to reprise their respective roles for that film, which ended up grossing over $180m worldwide at the box-office, and that’s not even including video and DVD’s and television and Bluray sales!!! I had thought the ’24’ movie might have had a budget in the $70m range, but for FOX to be so damn cheapskate about a potential $40m-plus budget is completely unforgivable, if Imagine Entertainment want a $45m-$60m budget, how about FOX put up $40m and if Imagine need and/or want more money, then they stump up the remainder, is that too much to ask? 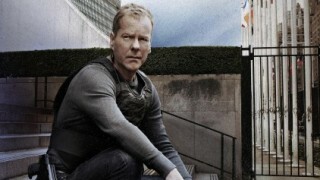 How much money has ’24’ made FOX over the years, and they won’t put up more than a paltry $30m – $30m??? – word fail me… if FOX don’t want to make this movie with the appropriate resources behind it, then let Imagine take it to another studio, or better still, raise the money required and make the movie themselves without studio involvement and/or interference! 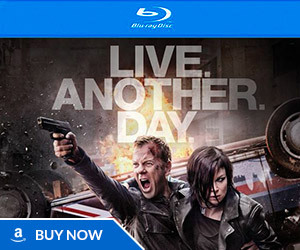 Are 20th Century Fox short of money right now or are they being a little tight with the ’24’ movie budget, are they actually telling Brian Grazer and Kiefer Sutherland that the highly lucrative ’24’ franchise is not worth a measly budget of under $50m? Have some doubts about Antoine Fuqua, he hasn’t done anything noteworthy except ‘Training Day’ and that was eleven years ago, a pity Tony Scott is no longer involved, that would have ROCKED!!! Kiefer Sutherland gave his blood, sweat, and tears for ten years of his life to make a great tv show and this is how FOX returns the favor? Unbelievable!!! am with kiefer sufherland 100% bse we want him produce season 9 we are waiting but in vain.